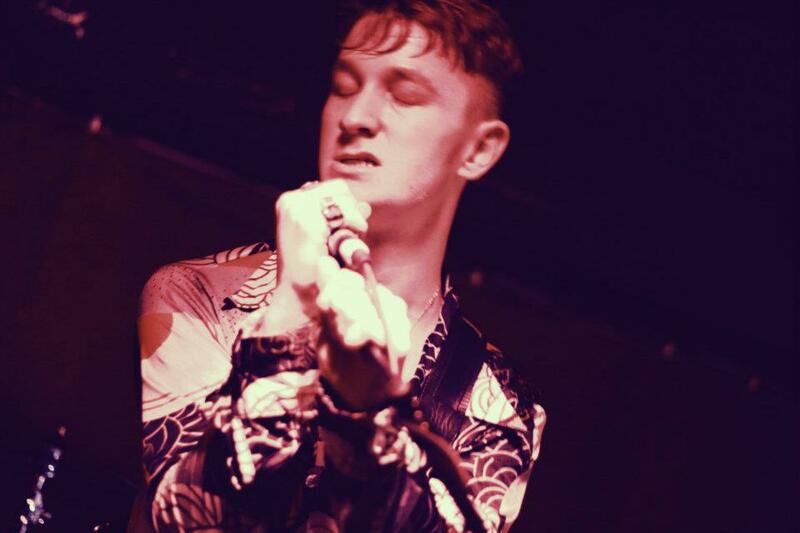 The Amazing Snakeheads are a proper rough ‘n ready rock ‘n roll band. Unlike any number of fellow Glasgow contemporaries, there’s no pose, no preen, no pretence. Just a short, sharp shock of sweaty, sweary in-yer-face claustrophobic riffs. 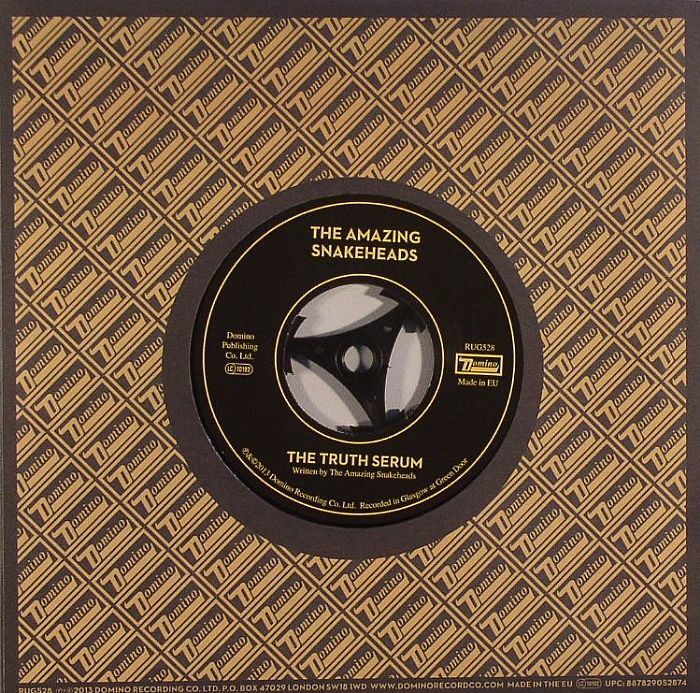 They’ve just released The Best Single Of 2013 (fact) on Domino Records. It’s called Testifying Time and you can buy it here. You might have heard it already on 6 Music. They’ve been playing it a lot recently. On Lamacq’s Round Table a couple of weeks ago, the panel waxed lyrical about both record and band so much so that it was played twice before the end of the show. Mind you, the whole record is done and dusted in 1 minute 5 seconds. They could probably have squeezed another play in before the news headlines if they’d really tried. By the time the news headlines had been read out, I’d bought my copy online. The b-side is even better. Carrying more implied menace than a dog-eared copy of No Mean City, it would be the ideal soundtrack to kicking off a Mad Dog-induced square go, big style. Y’know those Pixies tracks where a demented Frank Black barks ‘n yelps his way through all sorts of nonsense in pidgin schoolboy Spanish, just him and Kim on bass, playing in front of a garage band drum beat and the odd reverbed clatter? Vamos. That’s the track I’m thinking of. That’s what The Truth Serum is like. It’s wild-eyed and wired. It’s the sound of throwing an out of control mental wee bam into a wardrobe before sticking a broom, cartoon-style, between the handles as a temporary lock. Thump! Thump! Thump! Let! Me! Out! Ya! Bass! It’s like a sweary Nyah Fearties covering Pixies, and it sounds every bit as good as that suggests. A broad Scots’ tongue lashing of the highest order. Feral, ferocious and effin’ fantastic. “Estaba pensando sobreviviendo con mi sister en New Jersey!” goes Frank, all menace and snarl. “We’ll go to California!! !” he screams. Screeeeeeeeeeeee! “Geordie? Geordie?! Geordie?!? GEORDIE!!! TELL THUM!” Screeeeeeeeeeeeeeee! 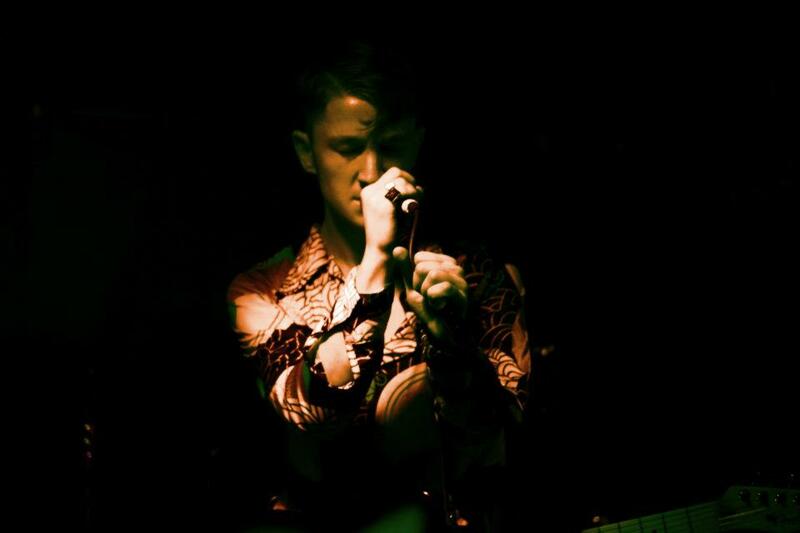 go The Amazing Snakeheads. Terrific stuff. Have seen them on three occasions . Went to the single launch a few weeks ago at the Wah Wah hut, mental night. I think that they gave half the singles they had for sale to their mates. They have a blistering sound which reminds me of the Vibes., especially I’m in Pittsburgh And It’s Raining. Looking forward to an album at some point. I need to see them next time they play. I think they’re just about perfect. A fine recommendation Sir. My copy was behind the door when I got in from work. I may need a new needle for the Dansette. Yep. It wore my needle out too.